signed with the Washington Redskins. There was good news and bad news over the weeknd, at least for this reporter, who is a fan of our former area stars. The good was that after failing to be picked in the seven rounds of the NFL Draft, 2003 Area Player of the Year Brigham Harwell of Los Altos signed a free-agent contract. The bad news, at least for this reporter, who is fan of the Dallas Cowboys, was that he inked with the hated Washington Redskins, and will turn his blue and gold in for cardinal and gold…ewww! But its good for Harwell, who I believe should have a good shot at making the club. He’s a big-time run stuffer, and knows the Redskins’ defense system, which is the same UCLA has run the past few years, since former Bruins defensive coordinator Dwayne Walker previously coached for the Redskins. But here’s a good luck to Brigham, and I guess for games when they are not playing the Cowboys, I can root for those ‘Skins! The draft was good for former Damien High School and Citrus College star Freddie Brown, who was selected in the seventh round by the Cincinnati Bengals. Brown starred for Utah last season, catching 77 passes for 900 yards and seven TDs as the Utes went undefeated and beat Alabama in the Sugar Bowl. Also former Damien star Ian Johnson, who played at Boise State, signed a free-agent contract with the Minnesota Vikings, while former UCLA punter Aaron Perez was invited to attend a New England Patriots mini camp this weekend. UCLA’s Bret Lockett of Diamond Bar will try out for the Cleveland Browns. Above: Chuck Tiffany is back with the Dodgers. Chuck Tiffany is proof you can. The former Charter Oak High School pitching sensation, who signed with the Dodgers out of high school, is back with his hometown team, and child-hood favorite, after re-signing with the Dodgers over the weekend. Tiffany, who was dealt to the Tampa Bay Rays organization in 2006 as part of a four-player deal, was recently released by the Rays. He’s been assigned to the Dodgers spring training complex in Arizona to determine what affiliate he will join this season. Kevin Mort, a former standout at South Hills in football and baseball, is enjoying life in the rugged Southeastern Conference. Mort is off to a solid season at the University of Mississippi. The junior, who transferred east after two steady years at nearby Rio Hondo College, is the team’s starting shortstop and hitting .306 with 22 RBIs. He also has scored 20 runs. The Rebels are 19-5 overall and are in third place in the SEC Western Division with a 9-6 record. They trail first-place Louisiana State by 1 1/2 games. Wes Roemer pitched with a heavy heart on Friday. Former Glendora High School star Wes Roemer opened the 2009 season by throwing five shut-out innings in the Visalia Rawhide’s 5-3 victory over Lake Elsinore in a Cal League game on Friday. It was a solid start to the season, but Roemer’s heart was elsewhere. Roemer’s two friends – Jon Wilhite and Courtney Stewart were victims in the car crash that cost the life of Angels pitcher Nick Adenhart earlier this week. Stewart, a former Cal State Fullerton cheerleader, was also killed in the crash. Wilhite, the lone survivor who was upgraded to serious condition on Saturday and resting at UC Irvine Medical Center, was Roemer’s teammate on the CSF baseball team. “I wanted to dedicate my game to them tonight,” Roemer said. “It definitely gave me that extra drive to get through the game. When things got tough, I just stepped back and took a deep breath. My thoughts of this senseless tragedy is mainly spiritual. Sometimes things don’t make sense in this life, or are even seem fair. I can only relate my personal experiences. I lost my best friend in life 10 years ago this summer, and my older brother passed a few years ago. I believe that all you can do in these circumstances are to reflect on the good times. On that here is a video on youtube from a “Little House on the Praire” episode that I think explains it better than I can put into words. Above: Former West Covina star James Skelton is getting a good look in Arizona Diamonbacks Major League camp. 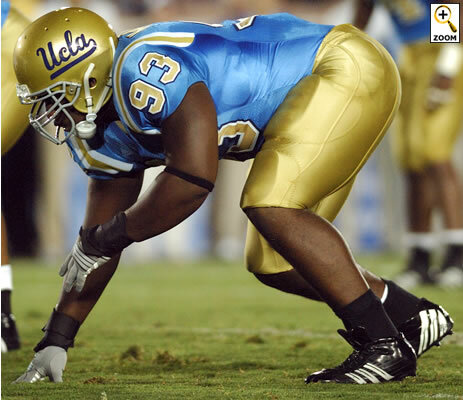 Remember for West Covina High School standout James Skelton? When last heard from, he was playing Double-A ball in the Detroit Tigers organization. But now he’s on the brink of making the Major Leagues after being selected by the Arizona Diamondbacks in the Rule 5 Draft, which means the Snakes must return him if he doesn’t make the big club. Skelton, a catcher throughout his minor-league career, is now working in the outfield and infield, knowing that to make the D-Backs roster, his only value would be as a utility player. Former Glendora star James Powell fills it up for UC Santa Barbara. James Powell was key part of Glendora High School’s last CIF-Southern Section championship team, and now the former Tartan is enjoying success on the collegiate level, shining in the 805 area code for UC Santa Barbara. Powell is averaging 11.2 points a game for the Gauchos and have become one of the most-prolific shooters in the school’s history. He leads the team with 119 3-pointers this season, and broke school records for highest 3-point shooting percentage in a season last year as well as highest 3-point shooting percentage for a game. Former Bishop Amat star Ralph Brown is hoping for a Super ending on Sunday. When Ralph Brown was calling the San Gabriel Valley his stomping grounds in the mid 1990s, he was a shifty running back on Bishop Amat High School’s last CIF-Southern Section divisional championship team. The Hacienda Heights native is still shifty, but now to opposing quarterbacks. Brown, who would later star in the defensive secondary at Nebraska, is again wearing red these days, playing in the defensive backfield for the Arizona Cardinals, who have set franchise history by winning two playoff games. Brown has done his part, grabbing an interception in each of the team’s wins – a 30-24 victory over Atlanta on Jan. 3 and a 33-13 romp over Carolina this past Saturday. The nine-year NFL veteran now will go for a Super ending when the Cardinals host Philadelphia in Sunday’s NFC championship game, with the winner advancing to the Super Bowl in Tampa, Fla. on Feb. 1. Good luck from the SGV, Ralph! Former Damien and Citrus College star Freddie Brown runs after one of his 12 receptions for Utah in the Utes’ 31-17 victory over Alabama in the Sugar Bowl on Friday. What was that word? A Ute? What is a Ute? Alabama knows what a Ute is today, especially after the Utah Utes made their claim to be ranked No. 1 in the final Associated Press football poll. A convincing 31-17 victory over Tide in the Sugar Bowl on Friday. The victory over Alabama, which was ranked No. 1 for five consecutive weeks during the regular season, allowed the Utes, helped by former Damien High School and Citrus College star Freddie Brown and former Pasadena City standout David Reed, to become the only undefeated team in the bowl championship division, finishing 13-0. Utah coach Kyle Whittingham believes that should be enough to move his team to the top spot. Brown did his part by being Utah’s leading receiver Friday, catching 12 passes for 125 yards. He also had a key 33-yard reception that led to an important TD drive in the third quarter. Reed had two catches for 58 yards, including a 28-yard TD reception that gave the Utes’ a 28-17 lead in the second half. Utah’s roster also includes former Mt. San Antonio College players Aiona Key, Viliamu Nau and Aaron Tonga and Monrovia High’s Patrick Greene. Former Glendora boys basketball star Dominic Tiger-Cortes is earning his keep at Haskel Indian Nations University, a NAIA school in Lawrence, Kan.
One of the most-asked questions I’ve received lately has been what happened to Dominic Tiger-Cortes? The 2008 area boys basketball player of the year, who almost single-handedly led Glendora to the CIF-Southern Section divisional semifinals last season, is alive and doing well in Lawrence, Kan. The slick-shooting guard, who demonstrated phenomenal range from the outside is seeing minutes for Haskell Indian Nations University, a NAIA school that is part of the Midlands Collegiate Athletic Association. Tiger-Cortes has played in five of the Fightin’ Indians 12 games, averaging 3.2 points per game. He’s made six of 16 shots and has a season-high of six points. Tiger-Cortes is 4 of 12 from behind the 3-point arc. HINU is 4-11 entering conference play. Former Bishop Amat star Kristen McCarthy, seen here last season, is having a solid season at Temple University. Freshmen are usually expected to be seen, but not heard. Then there’s Kristen McCarthy, the former Bishop Amat girls basketball star who is making her mark at Temple University despite her freshman status. The former two-time area player of the year is off to a solid collegiate career, helping the Owls to a 5-3 start. McCarthy has played in all eight games, starting one and is averaging 7.8 points per game. She is also averaging four rebounds per contest and has 11 assists in eight games. McCarthy is coming off a solid effort against Toledo on Dec. 10, scoring 12 points to help the Owls to a 73-46 victory.